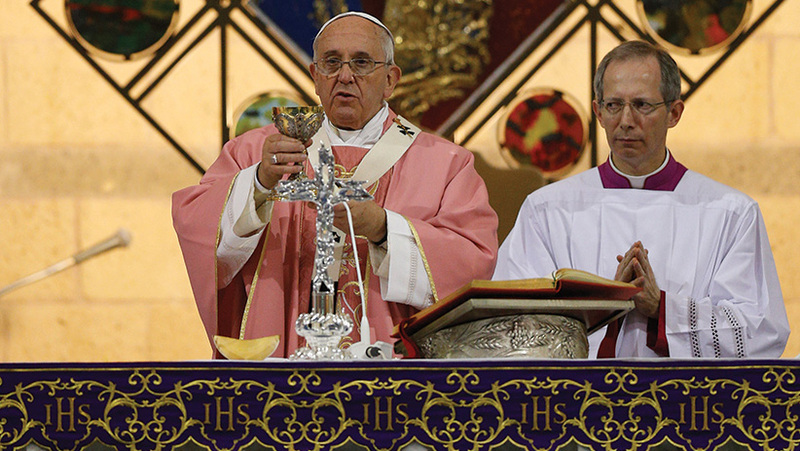 The 4th Sunday of Lent is traditionally known as Laetare Sunday. The day’s theme comes from the entrance antiphon reflecting on Isaiah 66: 10-11: “Rejoice, Jerusalem, and all who love her. Be joyful, all who were in mourning; exalt and be satisfied at her consoling breast.” Laetare means "rejoice" and like its counterpart in Advent, Gaudete Sunday, the priest has the option of wearing rose-colored vestments instead of violet. The change of color is supposed to indicate a sense of hope and joy--an anticipation of Easter--in the midst of the penitential season. We are now only 21 days away from Easter Sunday! I suggest that we take some time to reflect on the power of this single verse from Scripture. It is the core of the Christian message. Jesus is speaking to Nicodemus here, a leading Pharisee of the time, who came to question Jesus at night. I like to call him Nick at Night. He was most likely afraid to be associating with Jesus openly because of what his fellow Pharisees and others might think. I contrast the Pharisee Nicodemus and his reluctance to accept and become a disciple of Jesus, with Billy Graham's sense of urgency and necessity about following Jesus. When we hear the words of Jesus, how do we respond? Do we have a sense of hesitancy and reluctance, or are we willing to respond, follow and change our lives? Each person, each generation has to make this decision. Yes, God loves us and sent His Son to us! His Son died for us. Being Jesus' disciple is a life-changing opportunity and offers us an eternal future with life and hope! This is indeed Good News! It is a reason to rejoice! How do I respond to the message?